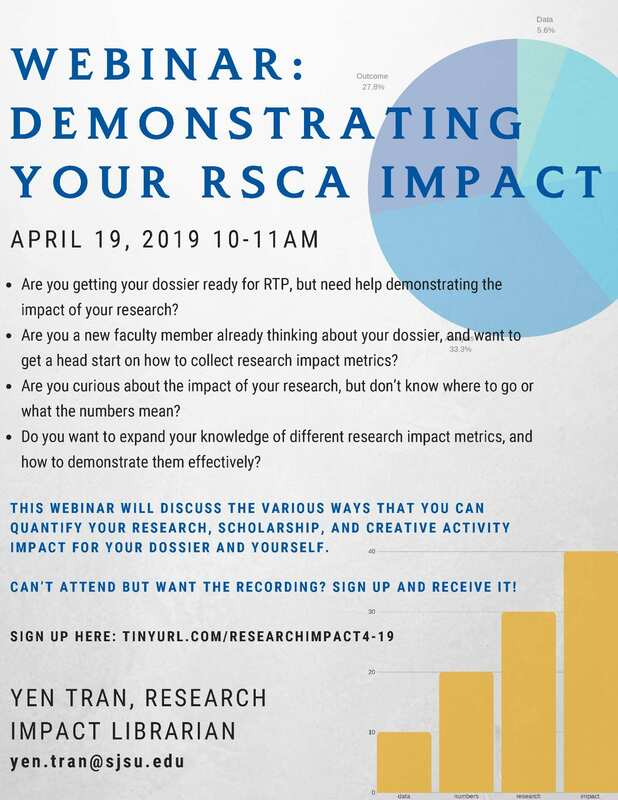 Yen Tran, SJSU’s research impact librarian, will be hosting a webinar on April 19, from 10 to 11 a.m. on how to demonstrate RSCA impact. Those who participate in the webinar will receive information on the following areas: preparing a dossier that shows the impact of RSCA; how to get numbers to quantify the impact of research and expanding knowledge of different research impact metrics. What an exciting time it is at San José State! Many of you have heard me say that in various meetings and events on campus, but my enthusiasm for what we have managed to accomplish is a constant sentiment for me. I hope it is for you as well. My fundamental enjoyment is watching the Division of Academic Affairs as it re-visits its focus on the intellectual matters central to our role at the university. The faculty embrace of our RSCA Initiative has been enthusiastic and deep; our efforts to solidify approaches for our graduate students and our post-baccalaureate opportunities are coming to fruition; and the soundness with which we came through the various federal budget machinations and held true to our research needs (a shout-out to our Research Foundation! ), is simply impressive. I am delighted also that we have now consolidated many faculty development activities in the Office of the Provost, singularly, the Senior Vice Provost forAcademic Affairs, our own Carl Kemnitz. Dr. Kemnitz played an integral role with University Personnel as we moved to tease apart functions that rightly belong in a central university human resource function from those which support and promote the lives of our teacher-scholars. Here again, I have enjoyed immensely watching the commitment both Academic Affairs and University Personnel have made to elicit best processes and practices to support our human needs. Marc d’Alarcao, the former associate dean of research for the College of Science and professor of chemistry, has been appointed as the interim dean for the newly created College of Graduate Studies. As a professor of chemistry with 30 years of experience in higher education split between San José State University and Tufts University, Marc d’Alarcao said his favorite part of teaching is when he sees students begin to understand how new knowledge is created. “Knowledge is always continuing to grow,” he said. 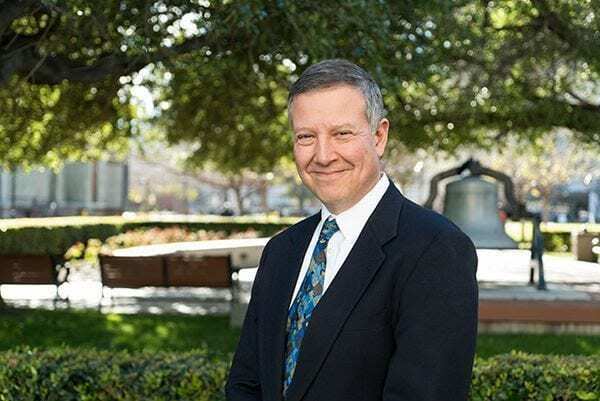 Now d’Alarcao will be essential in creating a new college at SJSU as the interim dean of the College of Graduate Studies, designed to support graduate students in a variety of ways, including in advancing their fields through their research, scholarship and creative activities. Interim Provost and Senior Vice President for Academic Affairs announced the creation of a new College of Graduate Studies in fall 2018. At Tufts, d’Alarcao mentored graduate students, including both master’s and PhD candidates, and regularly involved students at all levels in his research. His work at both universities has focused on biological and medicinal chemistry including the design and synthesis of potential antitumor agents, and a study of insulin action by synthesis of molecules related to insulin signal transduction with potential utility as treatments for type II diabetes mellitus. “The thing that attracted me to SJSU was the outstanding faculty and students,” he said. He has been working to expand research, scholarship and creative activities since his arrival at SJSU–as a faculty member, as a member of the AcademicSenate, and most recently, as the associate dean of research for the College of Science. Aside from advocating for graduate students, d’Alarcao articulated a few other reasons the new college is essential to the university’s priorities. First, he said it will continue to enhance research, scholarship, and creative activity, especially engaging graduate students. Second, it will position SJSU to expand its doctoral offerings — the university currently offers a doctorate in education and a doctor of nursing practice. Lastly, it will serve as a platform to better highlight the extraordinary work of our talented graduate students, both for internal and external audiences. “For graduate students, success often means excellence in research or creative activity,” he said, adding that many of SJSU’s graduate programs require the generation of new knowledge or other creative products as a central component of the students’ experience. d’Alarcao received a bachelor’s degree in chemistry from Bridgewater State College, in Massachusetts, during which he worked as a research assistant in microbiology at the University of Massachusetts Medical School in Worcester. He completed his PhD in organic chemistry at the University of Illinois Urbana-Champaign, followed by postdoctoral studies at Harvard University under the mentorship of E. J. Corey, who would later become a Nobel laureate. Diem Trang Vo works as a post-award manager at the SJSU Research Foundation. 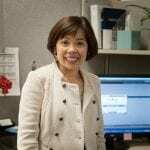 Luann Chu both works as a post-award manager at the SJSU Research Foundation. Whether one is a seasoned researcher or someone just launching a scholarly agenda, San José State University’s Research Foundation has long offered administrative support to faculty members and students as they pursue intellectual exploration. He added that early in his career, he appreciated resources to help with grant proposals. SJSU’s Research Foundation is one of the oldest nonprofit corporations associated with the California State University system, founded in 1932 and known initially as the San José State College Corporation. 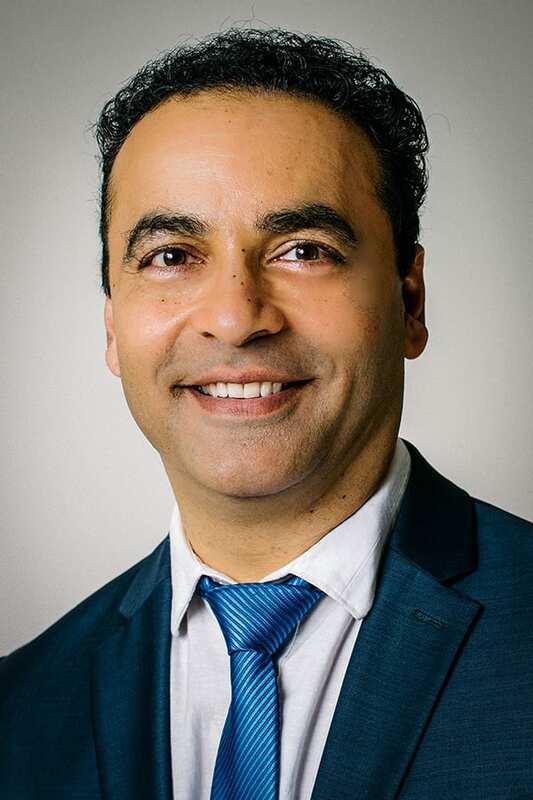 “As the campus organization that supports the SJSU research community, we continue to be inspired by the talent and passion evidenced by faculty, staff, and student endeavors,” said Rajnesh Prasad, executive director of the foundation and senior director of Sponsored Programs. Actively seeking out funding opportunities for faculty research. Partnering with investigators in all aspects of proposal development and submission. Supporting investigators with the management of the administrative and financial details of their projects after they have been awarded a grant. Laurie Drabble, a professor in the School of Social Work, connected with the Research Foundation early on in her career at SJSU through workshops and training sessions. More recently she receives support as a principal investigator on two grants, one with the National Institute on Minority Health and Health Disparities and one with the National Institute on Drug Abuse (both in collaboration with the Public Health Institute). In some cases, Research Foundation services enable faculty to move the products of their work from the laboratory, classroom, and field into local, national, and international businesses and communities. This often results in initiatives that create strategically productive partnerships with Silicon Valley and its culture of creativity, diversity, and technology. The Research Foundation will be hosting the Annual SJSU Celebration of Research on April 23, from 3 to 6 p.m., in the Diaz Compean Student Union Ballroom. Faculty and student researchers will be honored at the event and the 2019 Research Foundation Annual Report will be released there. For more information on services, resources, and to view previous annual reports, visit the Research Foundation website. Mathematics Professor Tatiana Shubin, center, will present a talk on her research and scholarly work at the next University Scholars Series event March 27. The University Scholars Series has been expanded this spring to include four talks by faculty members who are engaged in world-class research, scholarship or creative activities that connect to San Joes Staté University to hot topic global issues, such as social justice, civic engagement, emerging technology and STEM education. March 27, noon to 1 p.m.
April 24, noon to 1 p.m.
May 8, noon to 1 p.m.
All events are free and open to the public. Lunch will be served. Professor of Comparative Religious Studies Jennifer Rycenga launched the spring series on February 20 with a talk entitled, “Intersectional Pilgrims in Canterbury: The Story of America’s First Female Academy for African-American Women.” She has been immersed in writing a comprehensive cultural biography of white Abolitionist educator Prudence Crandall (1803-1890) who has interested Rycenga since first discovering the fellow educator in the late 1990s. She learned of Crandall when she traveled to New England to visit the historic Crandall Academy, which now houses a museum. She soon recognized that the Academy’s founder had a rich story. Rycenga, who teaches in the College of Humanities and the Arts Department of Humanities, has long had an interest in Abolitionist history, women’s religious history, feminist theories of music, and theoretical issues concerning philosophies of immanence and panentheism. Her latest work combines several of those interests. During her University Scholars Series talk, she shared a story from Canterbury, Conn. circa1830s, where women and men, Black and white, young and old, worked together to offer advanced formal education for Black women. Crandall became their teacher, and though the school was subjected to “constant racist vigilante and legal violence, the education and learning there were genuine,” Rycenga said. Award-winning Professor Tatiana Shubin will give a talk on March 27 on “Moving in Circles: the Beauty and Joy of Mathematics for Everyone.” In 2017, she received the Mary P. Dolciani Award, which recognizes a pure or applied mathematician for making distinguished contributions to the math education of students in the United States or Canada. 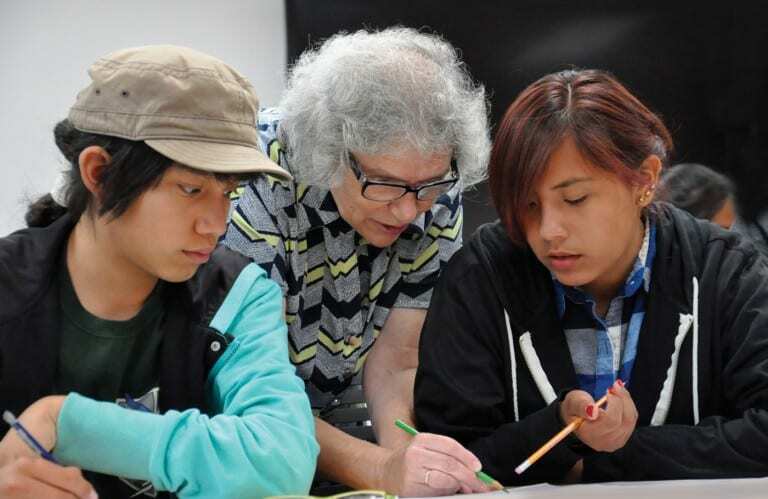 She is credited with creating the San José Math Circle as a weekly space for middle and high school students to gather to engage in problem-solving work. She is also a co-founder of the first Math Teachers’ Circle Network in the U.S., as a professional community of K-12 mathematics teachers and mathematicians. Groups meet regularly to work on rich mathematics problems, allowing teachers to enrich their knowledge and experience of math while building meaningful partnerships with other teachers and mathematicians. In 2012, she launched the Navajo Nation Math Circles project and became co-founder/co-director of the Alliance of Indigenous Math Circles. She aims to spread the culture of problem-solving and the joy of mathematics to Native American students and teachers. Assistant Professor of Child and Adolescent Development Ellen Middaugh’s talk on April 24 is entitled, “Coming of Age in the Era of Outrage: Digital Media and Youth Civic Development.” Her research examines the impact of technological change on youth development and applications for civic education in and out of schools. Her most recent article “More Than Just Facts: Promoting Civic Media Literacy in the Era of Outrage” was published in January in the Peabody Journal of Education. She will be sharing findings from a series of studies that shed light on the impact of outrage language on youth interest in political engagement, their capacity for evaluating political information and the potential for innovative classroom practices to address these dynamics. On May 8, Director of the School of Information (iSchool) Sandra Hirsh will offer a talk entitled “Blockchain: Transformative Applications for Libraries and Education.” She has led an 18-month investigation of blockchain applications and use cases for libraries that has been informed by technology experts from libraries, blockchain developers and urban planners. The project was named by Forbes as one of the 20 ways the new technology will transform education. This spring, Hirsh will publish a book, Blockchain, as part of the Library Future Series and a massive open online course (MOOC) entitled “Blockchain and Decentralization for Library and Information Science” will be offered as part of the project. Hirsh published a second edition of her book Information Services Today: An Introduction in 2018 and co-founded the Library 2.0 global virtual conference series in 2011.